Earlier, the Commission has released the notification for the recruitment of CHSL (10+2) and invited the aspirants. The candidates who are interested had applied for the examination that was held on 1st November 2015. However, the Commission has scheduled the re-exam to those who took the test at center no. 6 and 21 of Bhavnagar on 01.11.2015 in the afternoon session and at Bhandara in the evening session. The candidates who clear the exam will be called for further rounds and those who clear all the rounds will be absorbed into the respective posts. 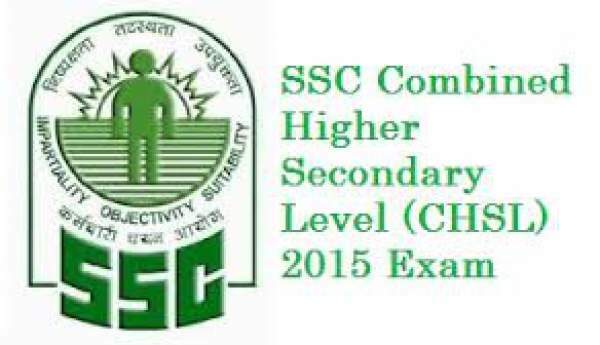 SSC has released the admit cards for its Combined Higher Secondary Level (CHSL) re-examination. Staff Selection Commission (SSC) is an organization. It works under the Government of India. It conducts the various competition level exam all over the India. It recruits candidates in the different department of the government of India. Firstly the SSC examination is decided to be held on 1st November 2015. But the exam is leaked at some centers. Due to this reason the SSC has postponed examination of CHSL 2016 on 23rd July 2016. The organization has given the list of candidates who can give the list of candidates who can provide the re-exam of CHSL 2016. The commission has issued a notification back in June. It is the notification of the selection of qualified personnel for 6,578 available posts of Lower Division Clerk (LDC) and Data Entry Operator (DEO). On the 1st November 2015, the candidates who have appeared in the examination are eligible for the re-exam. The Staff Selection Commission has made the Combined Higher Secondary Level (10+2) Admit Cards for the exam are available on the official website. The official website is www.ssc.nic.in. There are the steps to Download Staff Selection Commission CHSL LDC DEO ReExam Admit Cards 2016. Each Candidate has to follow the steps. The first step is to arrive at the official website of www.ssc.nic.in. Click on the link admit card is appearing on the top panel of the screen. The click on the Link ‘Western Region’. Then click on the link SSC CHSL 10+2 Admit Cards 2016. Here one has to enter the details of the candidates such as registration number, Date of Birth in the provided field. Then hall ticket will appear on the screen. One has to download this and take the printout of the hall ticket for future references. This admits card must be taken along with the candidates as it is an important document. Without admit cards candidates are not allowed to sit in the examination. Previous articleSultan box office analysis: Will it cross 500 crore lifetime?